Now a days, almost every female would wear make up, be it light or heavy make up, whether its for work or casual. Well, its easy to apply makeup, and to some, its an essential needs due to their job nature. But how many of us really knows how to remove make up thoroughly? There is far too many different types of make up removers in the market now adays. How do we know which one is the best? Which one is the one that can really remove every residue of make up left on our skin? Read on to find out. 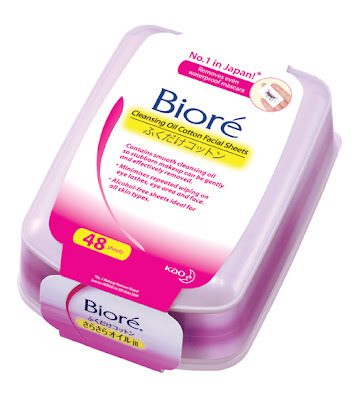 This time round, The Sample Store sent me a series of make up removers, with courtesy from Bioré for me to try and review on. Yes, I reckon that some of the beauty junkies there would have seen these products on the market. 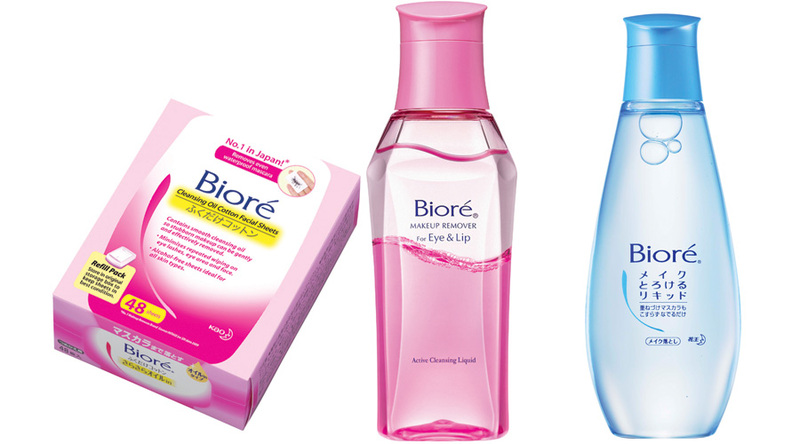 Especially one of the most favorable and well-known make up remover. 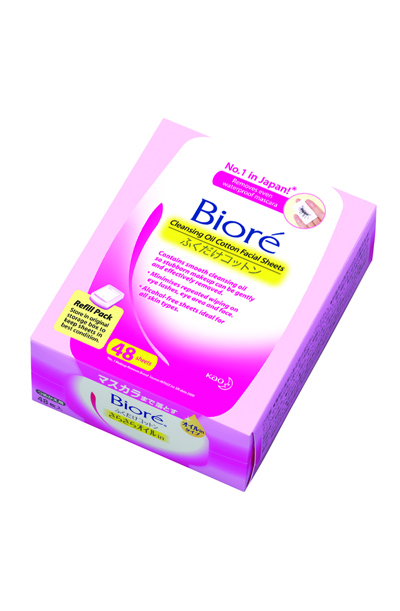 Inevitably i got to agree that the Biore Cleansing Oil Cotton Facial Sheets are the most common seen and used widely in the market, as the sheets are one of the quick and convenient way of removing makeup. Why is it so commonly used and well-known? - Biore Cleansing Oil Cotton Facial Sheets are gentle on your skin but tough on makeup, And it is a cinch in dissolving face, eye and lip makeup – even stubborn ones like waterproof mascara and long-wearing foundation and lipstick. This means that you do not need to have a dozen of different make up removers to remove different make up! Special thing in this Biore Cleansing Oil Cotton facial sheets is that, it leaves no oily after-feel, thanks to the high-performance yet light and smooth cleansing oil that is present in the cotton sheets. The high efficacy sheets ensures that one do not have to repeatedly wipe on their skin and thus minimizes unnecessary stress on skin, particularly on areas like eyes and lashes. Alcohol-free and enriched with moisturising agents to hydrate your skin without irritation. What's more is that it is made of 100% natural cotton fibre to render tenderness on your skin with a pleasant fragrance! 1. Biore Cleansing Oil Cotton Facial Sheets- Regular pack. Which contains 48 sheets cleansing oil cotton facial sheets and storage box, retailing at $16.50 each. Which contains 48 Sheets cleansing oil cotton facial sheets per pack, retailing at $11.50 each. Which contains 10 Sheets cleansing oil cotton facial sheets per pack, retailing at $2.95 each. 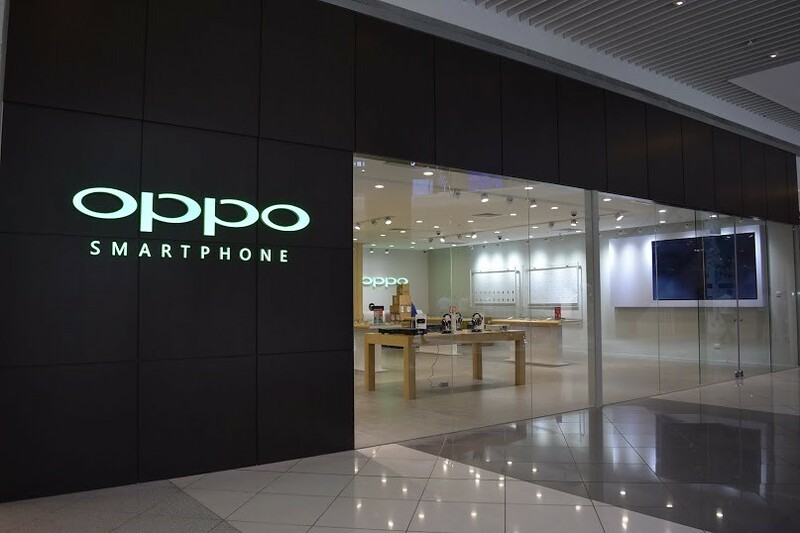 Note : It is available at all leading pharmacies, supermarkets and hypermarkets. Next on the list, we got Biore Makeup Remover for Eye and Lip. This product is specially formulated for effective eye and lip makeup removal. 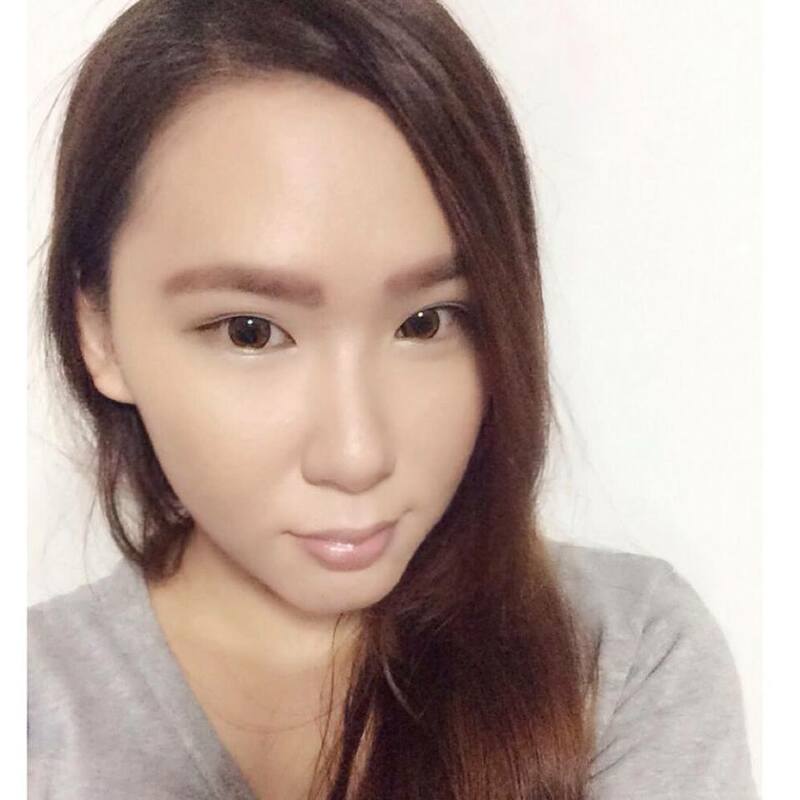 It effectively removes waterproof eye and lip makeup. With two-layer micro-active cleansing formula with moisturising ingredient, it gives a gentle yet effective, which removes more eye makeup with less wiping, exerting less stress on your skin lashes! Some simple instructions to use this makeup remover effectively. It is available at all leading pharmacies, supermarkets and hypermarkets retailing S$14.90 (inclusive of GST) in a retail size of 130ml. 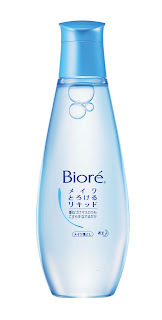 Last but not least, Biore Hydra-Clear Makeup Remover. It removes makeup effortlessly and gently with no rubbing or tugging at yourskin. It instantly dissolves and lifts away tough, waterproof makeup even at the delicate areas around the eyes. Its water-based formula does not leave skin feeling oily and sticky! It is available at all leading pharmacies, supermarkets and hypermarkets retailing at S$22.90 for a bottle sized of 200ml. And I went to do a simple experiment to test out the products that were given to me. It really removes my makeup gently and effortlessly . As it is a water-based formula, it requires only small amount of the remover to thoroughly removes all of the residues, even the most water-proof mascara. Personally, I love the fragrant smell produced by the remover. For me, the smell makes me feel so refreshed, especially after a day of hard work. Just rinse with water and you can get to bed as soon as possible.